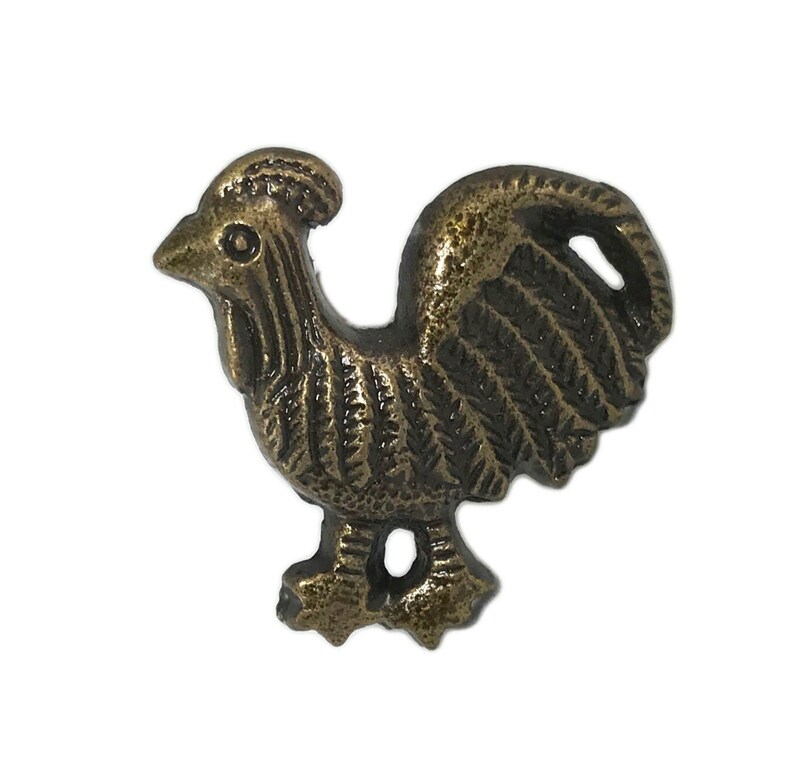 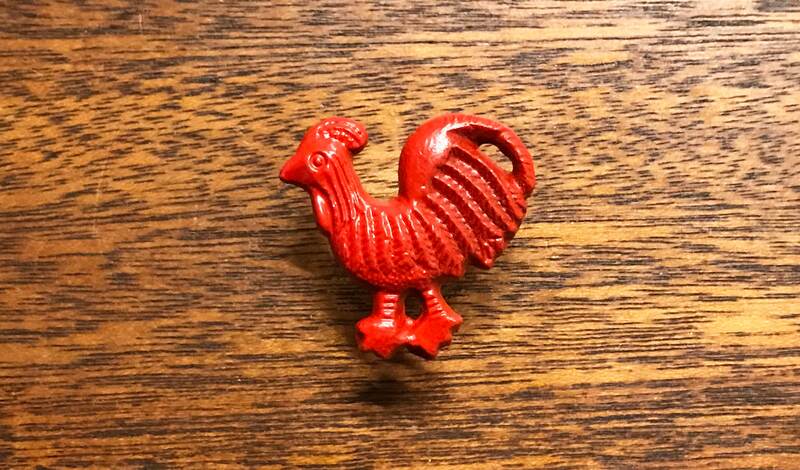 Red OR Bronze Colored Rooster Animal Metal Knob Pull for Drawers or Doors. 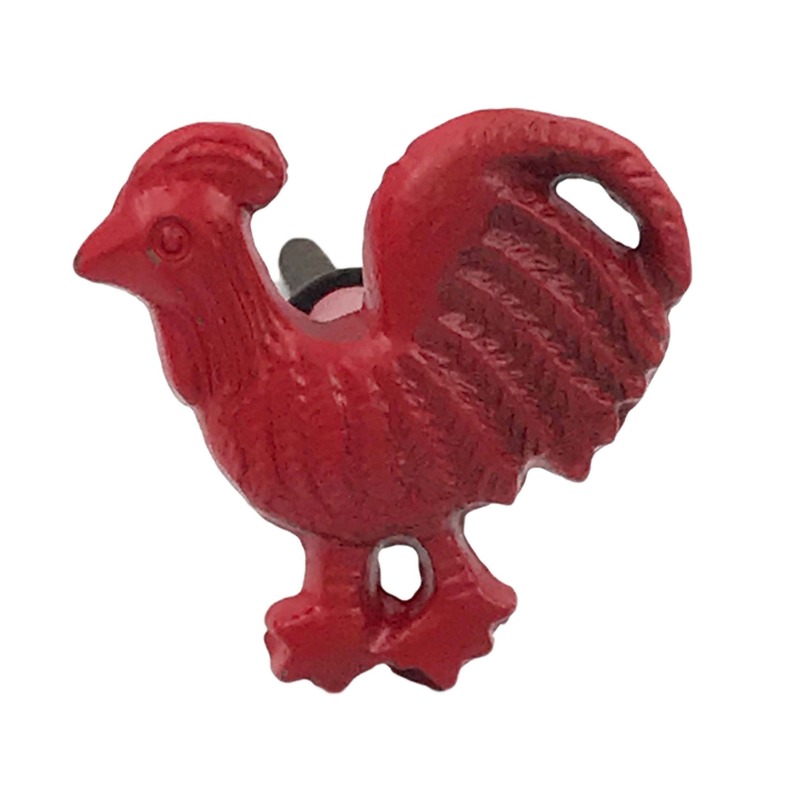 You can choose from Red or Bronze. 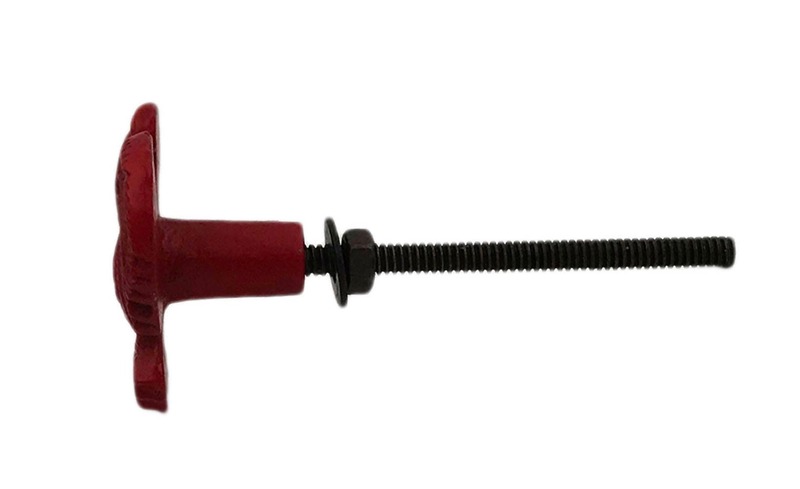 - Knob bolts can be cut to size with a standard hacksaw if they are too long ( we can cut it to the length you need for free) All sales final if we do this.